Around the world, most cellular service providers are getting ready to roll out 4G speeds or better, but service provider Vodafone has failed to meet the requirements for 3G connections in the UK. Out of all major mobile providers in Britain, Vodafone is the only one not to live up to its contractual obligation to provide 3G connection coverage to 90% of the UK. According to a report by OfCom, the company, which held the license for 2100MHZ 3G connections along with EE, Three, and O2 was required under contractual terms to provide mobile coverage to at least 9 in 10 Brits. 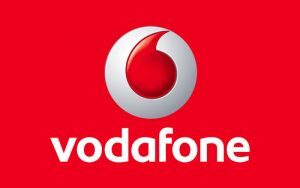 Whilst the other three companies have fulfilled their obligations, Vodafone’s mobile speed shortcomings have been publically addressed in Ofcom’s reports. Vodafone has stated that in the coming months they intend to upgrade all the remaining 2G connection areas to long-awaited 3G speeds. Mobile connections should cover up to 98% of Britain by 2015, with 4G speeds also on the agenda, say Vodafone representatives. If the company succeed in fulfilling these claims, they will be a full 2 years ahead of the regulator’s 2017 deadline.